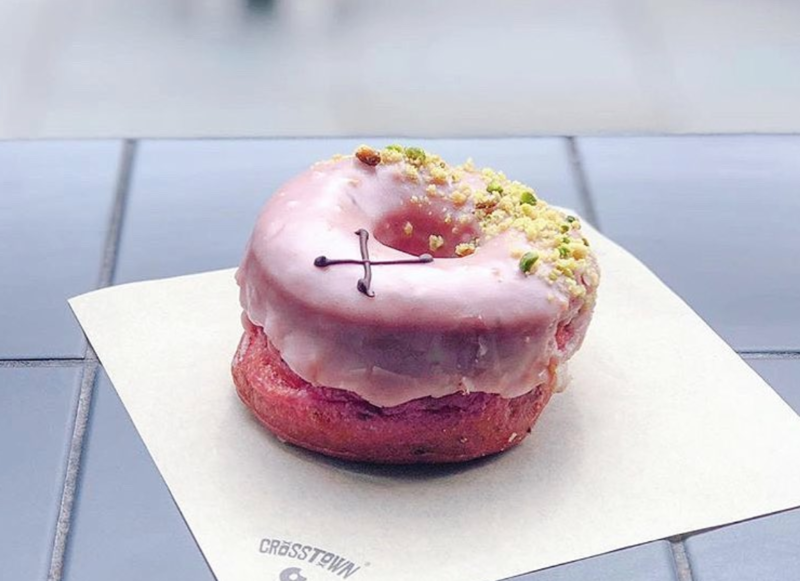 If you've ever had a Crosstown Doughnut, you'll remember it. The handcrafted sourdough creations, with unique flavours and vegan options, have become a firm favourite in London and beyond. The focus is on making everything in-house, with the highest-quality ingredients - and despite only starting out in 2014 they've rapidly become one of the capital's most iconic food brands. Here co-founder JP Then talks to us about the Crosstown journey. Crosstown has come a long way, yet I don’t yet feel we have ‘made it’ as a business (it’s a long journey with a long road ahead! ), and I definitely don’t feel I have ‘made it’ personally! However, I have certainly learnt many things on my journey with Crosstown so far. Here I have tried to articulate what I think are some important learnings. ‘Satisfy tastebuds’ - the product has to taste amazing. That’s why we hand-make our product fresh 365 days of the year, using the best ingredients we can find. You have to remember that people also eat with their eyes, so the product/locations/website/packaging all have to look amazing as well. ‘Moment away from the madness’ - we are a big-city concept. We know our customers are time-poor, but looking for experiences, even if it is only a few bites! This has really driven us to try to always keep up with the times, and remain relevant - i.e. evolving our e-commerce offer to allow for on-demand delivery for those who can’t get to our shops, but want a Crosstown experience. Knowing what you are trying to provide to the customer, and knowing who that customer is, significantly helps with your decision making and focus. When it comes to business you need colleagues with the same work ethic. Partner up and find someone who shares your passion, drive and desires. I know of plenty of partnerships that have gone sour because they haven’t gotten these core aspects aligned - but when it’s aligned, you leverage each other skills and ultimately rely on one another through good times and bad. I’m very lucky to have Adam as a business partner - we compliment each other very well and I could not imagine making Crosstown happen without him. We also have pivotal staff that have grown as we have grown. Nurturing that talent and empowering them to grow with the business has been absolutely key. There will be a vast array of circumstances where you feel powerless/helpless/not in-control. This can be overly frustrating and at times, demoralising. Once you recognise that this is just part and parcel of the journey, it will make things easier as you learn to ultimately focus on the factors you can influence (and want to influence). A great example that so many businesses face are the challenges with securing property, i.e. it might be your first attempt at getting a shop. Your job is to put your best foot forward and convince the landlord/agents that you are the best candidate (by the way, this often doesn’t always come down to the price). This is the factor you can influence - how you pitch your brand/business to them. What everyone elses concept is is irrelevant, and not within your control. If you don’t get the result you hoped for, don’t dwell on it - you put your best foot forward and there was nothing else you could have done right? Focus on what you can control, and consider the rest noise.